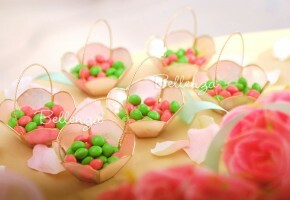 Quantities available: 5 sets (20 pieces). 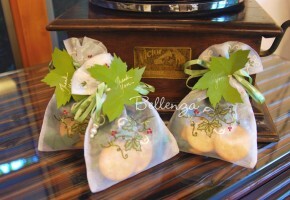 Sold in an assortment of 4 pieces. Height of mini pail is about 3” (without flowers). Height with flowers is about 5” with pail. 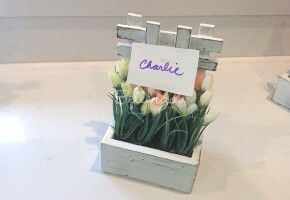 These mini potted flowers are sold in a variety of colors and pot colors. 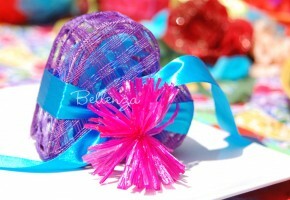 Flower colors consist of blue, pink, yellow, and creamy pink. 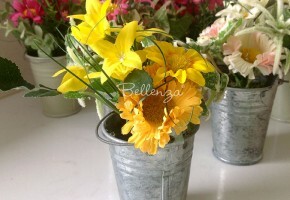 Mini bucket colors are (plain) galvanized and cream. Faux flowers consist of daisies, daffodils, and iris. 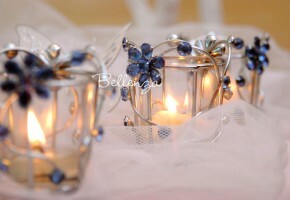 They can be used as a place card holder by inserting a wire swirl holder. 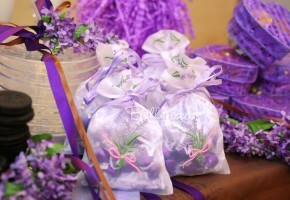 Do note: flower colors and bucket colors will be an assortment as seen in the photos. 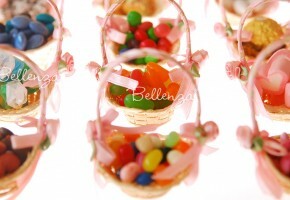 Sold as an assortment of 6 that consists of violet (3) and orange + yellow (3) favors. 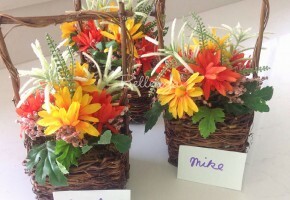 Faux flowers set on a brown basket with handle. Use as favors for small luncheons, tea parties, and dinner parties. 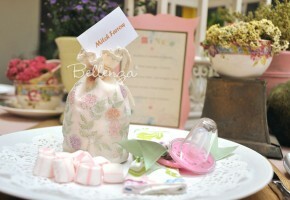 Ideal for springtime ladies’ luncheon or birthday party. 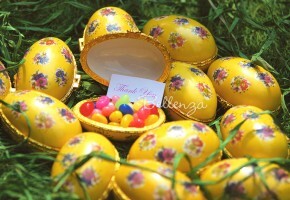 Give them as whimsical gifts for an intimate Easter gathering. Measures approximately 11″ in diameter. Sewn from classic white satin fabric. 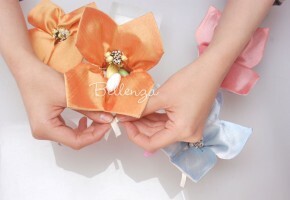 Its magnolia flower shape is made from three layers of satin petals. Each layer is edged with detailed beadwork. 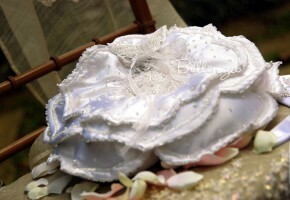 The pillow center is embellished with pearls, sequins, and white glass beads. 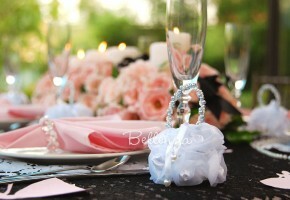 A beaded butterfly serves as a ring holder using organza ribbons. 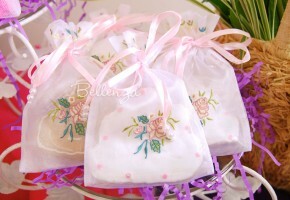 Each ring bearer pillow is presented in a Bellenza signature box. Excellent for a garden wedding ceremony. Best paired with the Lulucella Embroidered Shawl.